This Aurora II fixed blade features a satin finished CPM-3V blade and a Black Canvas Micarta handle. Includes a genuine leather belt sheath for secure carry. The Bark River Aurora II is the larger version of the popular Aurora Bushcraft knife. This version sports a blade that is both longer and wider than the original model to tackle a wider variety of tasks. Its handle design remains the same as the standard model with a balance point right on the first finger for comfortable use and superb control. 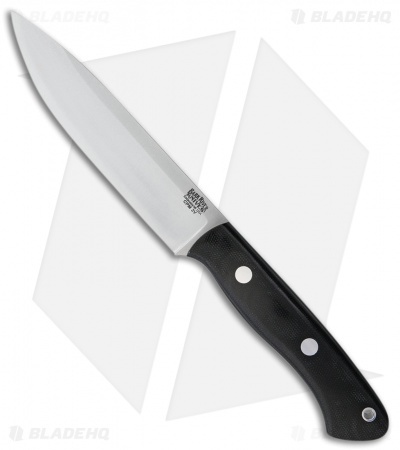 If you're looking for a versatile medium/large field knife, look no further.